Several years ago, we bought a cottage that came complete with all of the previous owners furnishings and dishes. The cottage was very clean and well-kept, but everything was major tacky. 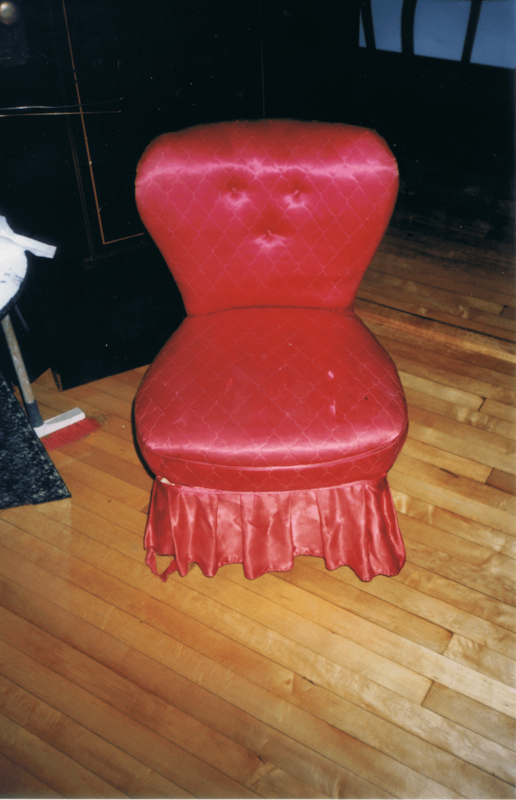 I was looking through some old pictures and came across this photo of the old slipper chair that was left in the cottage. We removed all of the old fabric and replaced the batting, as needed. We then proceeded to reupholster the chair to coordinate with the nursery we were setting up for the baby we were expecting at the time. This chair has really held up well and is still in our daughter’s room. You can often pick-up old chairs on Kijiji for very little. 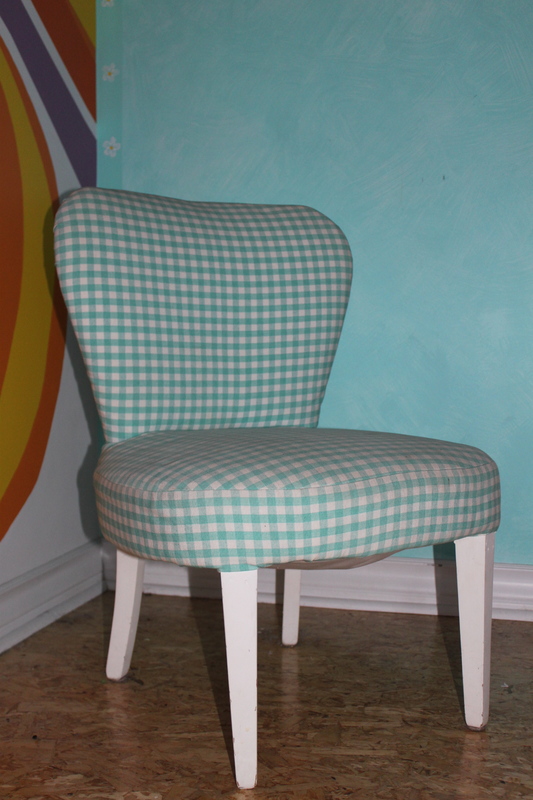 If you are interested in recovering a chair for your home, there are many great tutorials on-line. Here is a step by step description of what you will need to complete such a project. Posted on October 3, 2013 by Cindy Roy •	This entry was posted in DIY and Upcycling, Home Decor and tagged antique slipper chair, DIY projects, furniture upcycle, recovering furniture, reupholstery. Bookmark the permalink.